Bournemouth continued their reputation as the comeback kings after recovering from a goal down to beat West Ham 2-1 at the London Stadium. A Marko Arnautovic penalty (33) had put West Ham ahead in Manuel Pellegrini's first Premier League home game in charge. 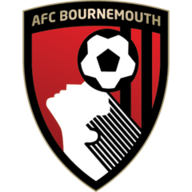 However, Bournemouth - who won 21 points from losing positions last season - turned the game around thanks to Callum Wilson's solo stunner (60) and Steve Cook's header (66). Victory hands Bournemouth back-to-back wins to start the season, while West Ham fall to a second-straight defeat. 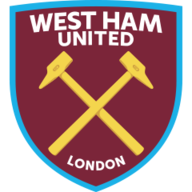 After a slow start, Javier Hernandez forced Asmir Begovic to make a smart save at his near post before Wilson failed to slot it past Lukasz Fabianski when one-on-one with the West Ham goalkeeper. Wilson was made to rue that miss as West Ham took the lead five minutes later, with Arnautovic slotting the penalty beyond Begovic's grasp after Nathan Ake brought down Hernandez - referee Stuart Attwell only pointing to the spot after consultation with his assistant. David Brooks could then only glance a header wide when free inside the West Ham box, while Begovic was on hand to deny Arnautovic a second just before the break. Three West Ham changes saw Pablo Zabaleta, Robert Snodgrass and Javier Hernandez come in for Ryan Fredericks, Declan Rice and Michail Antonio. Bournemouth named an unchanged XI, with £25m signing Jefferson Lerma not yet fit to make the squad. Bournemouth started the second half strongly, and after Brooks saw an effort saved by Begovic, they leveled after a piece of wizardry from Wilson on the hour-mark. The forward received the ball 10 yards inside the West Ham area, and with no team-mate near him, Wilson evaded a couple of challenges - including a desperate slide from Pablo Zabaleta - before sliding it through the legs of Fabianski. Six minutes later Bournemouth took the lead when Cook rose above Angelo Ogbonna, who had conceded the free-kick which led to what was ultimately the winning goal. Jack Wilshere endured a frustrating afternoon for the hosts, picking up a booking and seeing a late shot easily saved by Begovic. 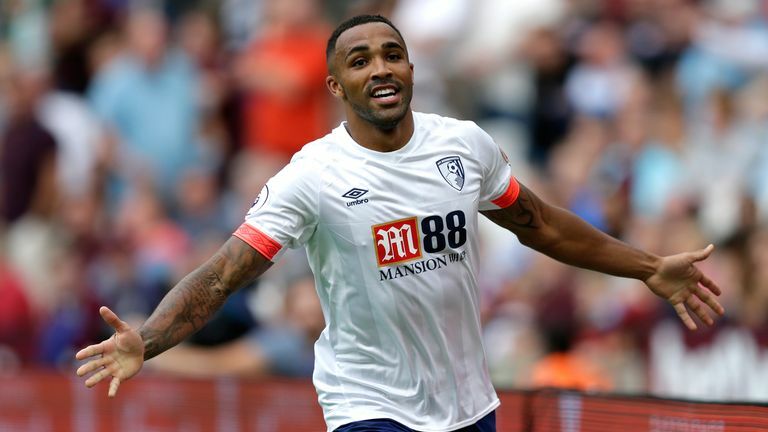 Callum Wilson was an outside shout for England's World Cup squad, but with two goals in two league games, he is doing everything right as he targets a first call-up for September's matches against Spain and Switzerland. The side scoring first has only won two of the seven Premier League meetings between Bournemouth and West Ham, with the Cherries winning 4-3 in August 2015, and the Hammers winning 1-0 in August 2016. Bournemouth have gained 19 points from losing positions in the Premier League in 2018; seven more than any other side. Bournemouth have won four consecutive top-flight games for the first time in their history. Bournemouth have won successive Premier League games in London for the first time since their first two visits to the capital in August-December 2015. Wilson loves playing against West Ham. His fifth goal in five games against the Hammers was a majestic one, and it was a moment which inspired the visitors on to victory. It was some way to brush off the disappointment of missing his first-half attempt, which came before West Ham's opener, and with two goals in two Premier League games, Wilson outlined how important he will be for Bournemouth once more this season. 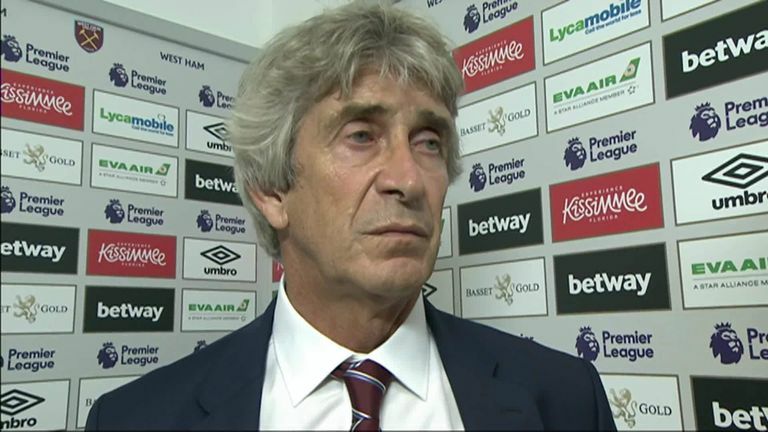 West Ham boss Manuel Pellegrini: "For me the second half we tried to keep the 1-0, and that reflect the lack of trust the players have in what they are doing. 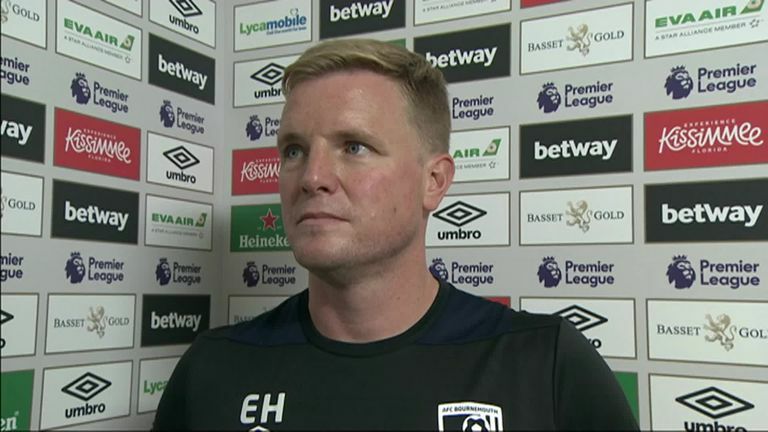 Bournemouth boss Eddie Howe: "It was a really good win. When we conceded it was at a spell when West Ham were on top and we found it difficult, but credit to the players second half. "We had a number of chances to score. It's a great comeback. Whenever you come here and win it's a real achievement. "There were loads of chances that we didn't take and you think, 'Is it going to be one of those days? ', but thankfully Callum's goal was the turning point. It was a great goal from him individually. That was the boost we needed to go on and win the game." "We've touched on the quality West Ham have up top with the partnership of Hernandez and Arnautovic. After 10 minutes, they got them into the play and it looked pretty exciting. "Wilshere was on the ball a lot, and Arnautovic doesn't disappoint. They could've got two or three before half-time. But after that, it was the same old West Ham. "There might be one or two new faces, but it's the same unforgivable mistakes. The equaliser from Wilson, all credit to him, but he had two centre-backs and two full-backs to beat. He glided past Noble and Balbuena, skipped by Zabaleta and then put it through the legs of Fabianski. It was shambolic defending. "For Cook's goal, he has to steer it into the ground and it's a brave goal, but there's three West Ham players round him. He was keener than anyone of them, and that can't be accepted. Pellegrini has to improve that department or the crowd will get on his back." West Ham make the short trip to Arsenal for a 3pm kick-off next Saturday, the same time Bournemouth play host to Everton in the Premier League.